We've lived in our house for almost 6 years and it seems that every Spring and Summer we're working on smartening up the back patio. I consider the space another room in our house since we live in such a warm climate and use it year round. This year we decided to re-arrange the Pottery Barn Chesapeake sectional sofa to create a more functional seating area. Here are the before pics from last summer... boooooring. The new set-up works great for entertaining. Which brings me to the Birthday Barbecue we hosted for our family to celebrate my husband's b-day last weekend. We offered some light hors d'oeuvres of nuts, veggies, chips & onion dip before dining el fresco on some BBQ chicken, pasta salad and homemade cornbread. The pillow covers are from Etsy.com. You can't have a party without some cocktails! I always set up a "help yourself" bar to help create a casual experience and allow guests to feel at home. 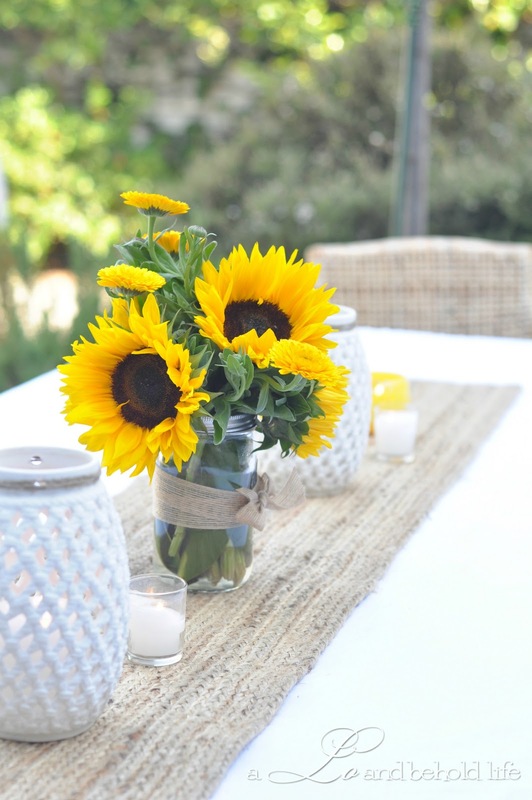 Sunflowers in a mason jar make for such a bright and cheery centerpiece. 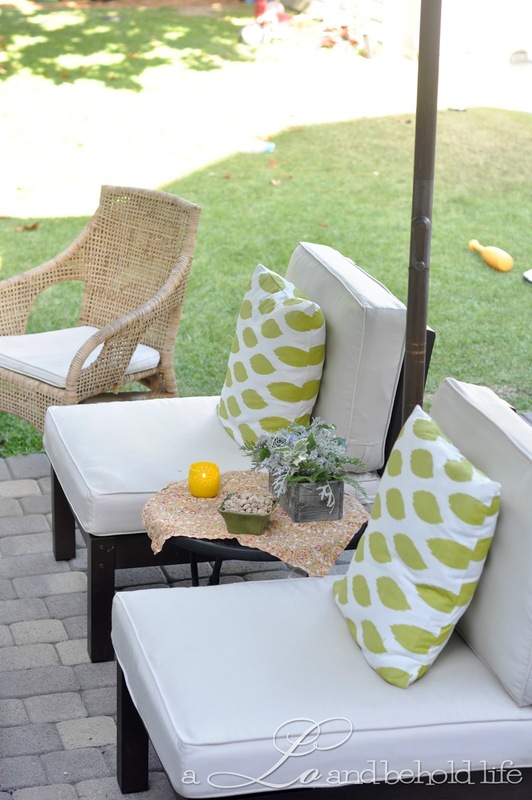 They are bold and make quite a statement in an outdoor area to help anchor the space. The rule of thumb is to work in odd numbers when creating a flower arrangement. I used 5 sunflowers here and filled in the blank spaces with Yellow Calendula that I picked up at Trader Joe's for around $10. 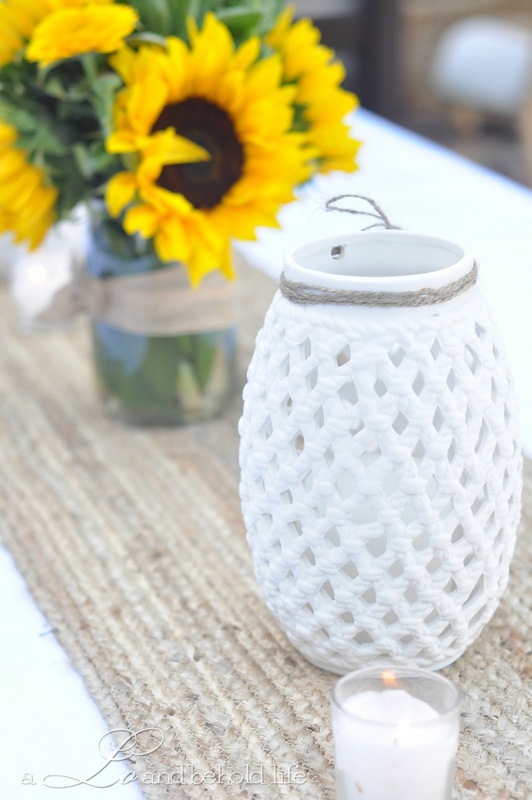 How cute are these coastal candle lanterns and rustic jute table runner? Homegoods! $9.99 each! These wine barrels are my new babies. Andy found them on Craig's List for a whopping $60 each. Here they are being used as tables for the birthday cake and some flowers. But we have plans for these babies this summer. I try my hardest to prepare EVERYTHING the day before or morning of any party. That way I can fully enjoy our friends and family instead of running around like a stressed out lunatic in the kitchen. It was such a relaxing evening. The chill summer tunes were cranking on the outdoor speakers, Andy at the grill, the kids playing in the backyard, me... drinking wine. Great night. And great cake! I'll share that with you later this week. 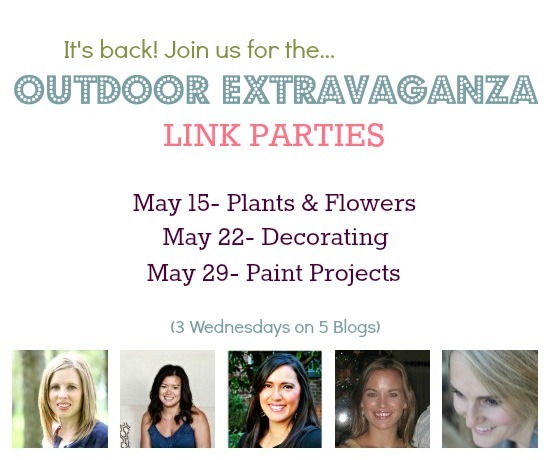 I'm sharing today's post with the Summer Spruce-Up Series and the Outdoor Extravaganza linky parties today! What fun! We are looking for a new sofa set for our back porch. We finally sold our old white all weather wicker furniture we'd had for years. Have been eyeing several pieces at PB (love that store). Love the wine barrels. Hubby would love to get ahold of some of those too. 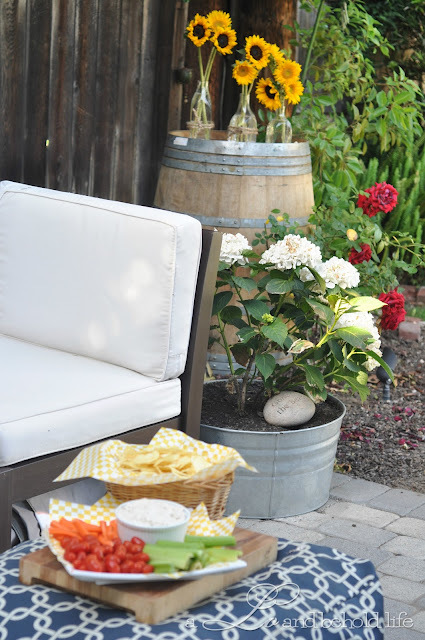 Never thought to use a galvanized tub for a planter...love how the hydrangea looks against the bit of rustic. Thanks, Lauren. If you're going to go with PB defs wait for their end of season sale. I think we scored ours for 30% off. I love the couch cuz I can remove the cushions and wash them when they start to look dingy with little foot and finger smudges. 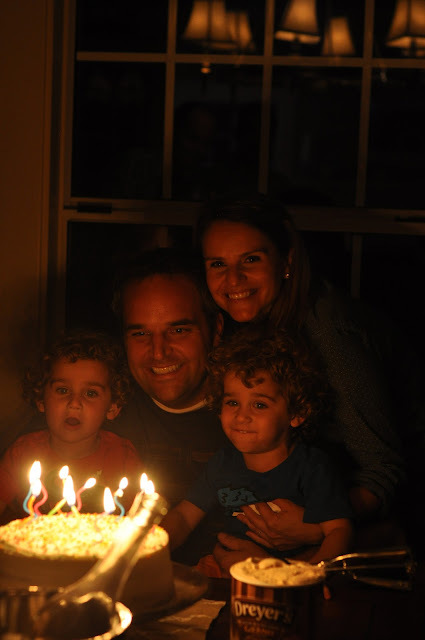 Wow, you had quite a beautiful birthday BBQ. 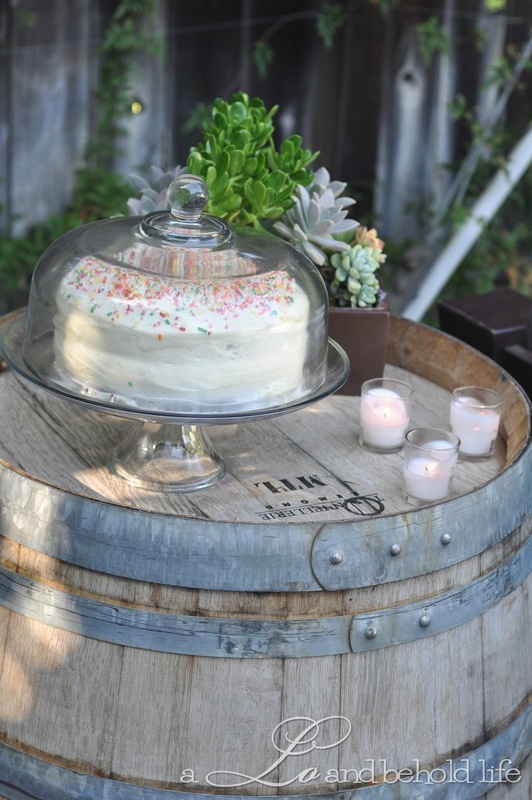 I can't wait to see what you do with the wine barrels because I think using them as tables is really cool! I also really love red wine so I am a big fan of the cocktail bar too. Great post! Thanks, Stacy. One of the barrel projects should be done in a couple of weeks. Can't wait to share it. Those wine barrels are incredible. I can't wait to see what you do with them! What a STUNNING party! 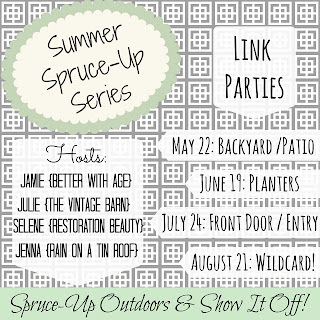 Every detail was gorgeous, and your whole outdoor room is amazing! I'd spend all my time out there too! Love those wine barrels! 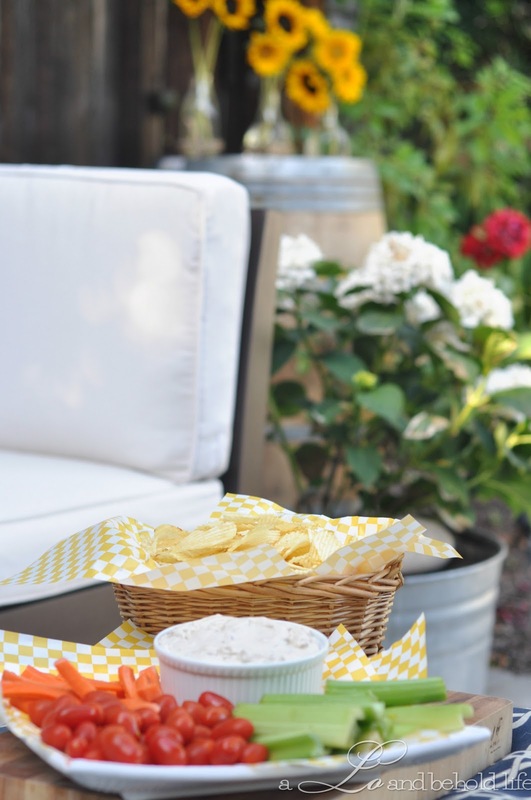 Your patio is great and the party outdoors is just perfect this time of year. Love that picture with you tickling the kids. Frame that one! Looks awesome! I love the sunflowers! Thanks, Jen! Unfortunately, some sort of animal/critter ate the blooms off of all the stems today! Bummer - guess I won't be planting sunflowers in the yard. Gorgeous party! Love all the details. Looks very very pretty. I love sunflowers too. We had them at our wedding everywhere. It all looks great! Your boys are seriously SO cute. Love everything! 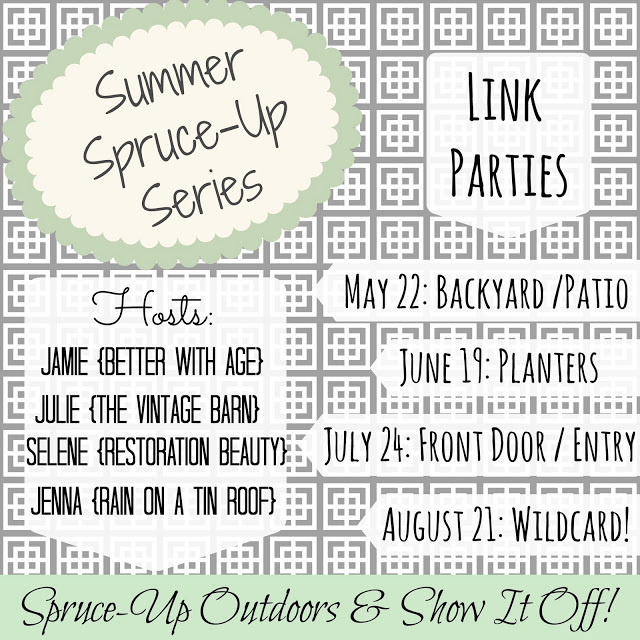 My son is graduating this year and we're hosting a bash in July. Pinning your ideas!